Our motto is "Leave no acre behind." Precision Agronomics realized early on the frustration of analyzing yield data across state lines, especially when counting on USDA soil type information. We recently unveiled our proprietary SOIL Score. Our methodology uses yield history, crop history, and USDA soil type information to create an index every 60 feet across a field. This index is consistent and crosses state lines for easy analysis of data. This means a score of 50 in Illinois is the same as a score of 50 in Indiana. The SOIL Score is a great way to correlate relationships between “potential yield” and “realized yield” across varying management systems and geographies. Precision Agronomics is a service only company. It is easily understood on the farm that if you represent a product, whether it is a fertilizer, ag chemical, or a seed company, that the information you provide has the chance of being biased to that product. We approach a farm with the proposal that we can evaluate crop production products in an unbiased fashion because we service the farm, not the product. This frees us to truly be your agronomist with your farm's best interest in mind. This approach ranks high among how our growers value our service. Together, our agronomists have over 100 years of accumulated experience of making recommendations. Adding to this the fact that we have been in the precision ag industry for close to 20 years puts us well ahead of our competitors. Our motto is “Leave no acre behind.” This challenges our team of agronomists to actively be in the field, getting to know the unique personality of each, along with its potential. In this day of Big Data, many make the mistake of thinking they can evaluate a field at a distance. Precision Agronomics makes it a priority to know the field and relay our individual field knowledge to each grower. Since analyzing ag data is only as good as data collected, we work directly with growers to build a stream of clean data based on quality collection tools. Such data types include as-applied planting, fertilizer, scouting, yield, and plot data. Geospatial maps of farm data gain value as they are combined with other layers of data to extract yield determining trends. As one of the forerunners in precision data analysis, Precision Agronomics has nearly twenty years of insight and experience in evaluating the requirements needed for an enterprise-level farm data analysis ecosystem. Our staff is able to extract insights ranging from sub-field management zones to regional trends. Precision Agronomics approaches recommendations with a similar mindset to how growers hedge market production risk, except we hedge a grower's risk for the amount of product that goes toward a plant. We do not write recommendations to achieve merely a high yield receipt from the elevator. Instead, we make recommendations that are the most economically viable for the grower on a field-to-field and year-to-year basis. Economic consideration reveals that it is not always in an operation's best interest to produce 200+ bu/ac corn. If 200 bushel corn will only bring $770 per acre when non-land costs are $547 per acre and cash rent averages $270 or higher, profit margins are gone. However, when you approach this scenario by managing your ground as a collection of management zones that act as their own entities, inputs can be managed in such a way as to allow defined zones to produce at their most economically efficient level. A particular management zone may not have an economic return at 200 bu/ac but will bring a profit at 185 bushels. Other productivity zones will find profitable returns at 200, 220, or even 250 bushels. We work with our growers in moving from a uniform farm management approach to managing the farm at the individual acre. Without disregarding the macro picture, we bring the ability to evaluate on the micro level as well. Today's farm economy no longer allows us to compartmentalize the principles of the agronomic and economic. Instead, we align the two so that they can be managed simultaneously. Understanding how productivity levels need to change with the rise and fall of markets is where a true symbiotic relationship between information, technology, business, and agronomy shines. The following services are how Precision Agronomics successfully fulfills its' "Leave no acre behind" motto as we serve our growers. 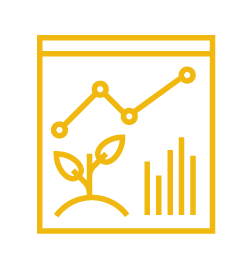 Precision Agronomics has been aggregating its growers' data since 1999, long before it was called "Big Data," in order to extract meaningful insights that benefit our clients. Through this practice, we discover crop production trends that positively and negatively impact yield. Aggregate analysis allows us to derive benefits from looking across hundreds of thousands of acres and many cropping scenarios in an anonymous, unbiased evaluation. The agronomic insights help guide decisions when consulting with our growers in an anonymous, unbiased evaluation. Since good data analysis largely depends on the quality of harvest data, we work with each of our growers to help them collect properly calibrated yield data. Data is then streamlined from the field to our office so that every field can be analyzed according to the individual attributes collected within that season. This approach allows us to track and evaluate trends or impacts of any one application by yield in order to narrow the focus onto what is truly impacting crop production. Multiple years of yield data can then be combined to identify spatial trends over time, such as yield zones that are highly volatile from year-to-year versus yield zones that are relatively stable. Such analysis helps our agronomy team to create plans that hedge production zones against wet and dry years. The contact request has been successfully sent.